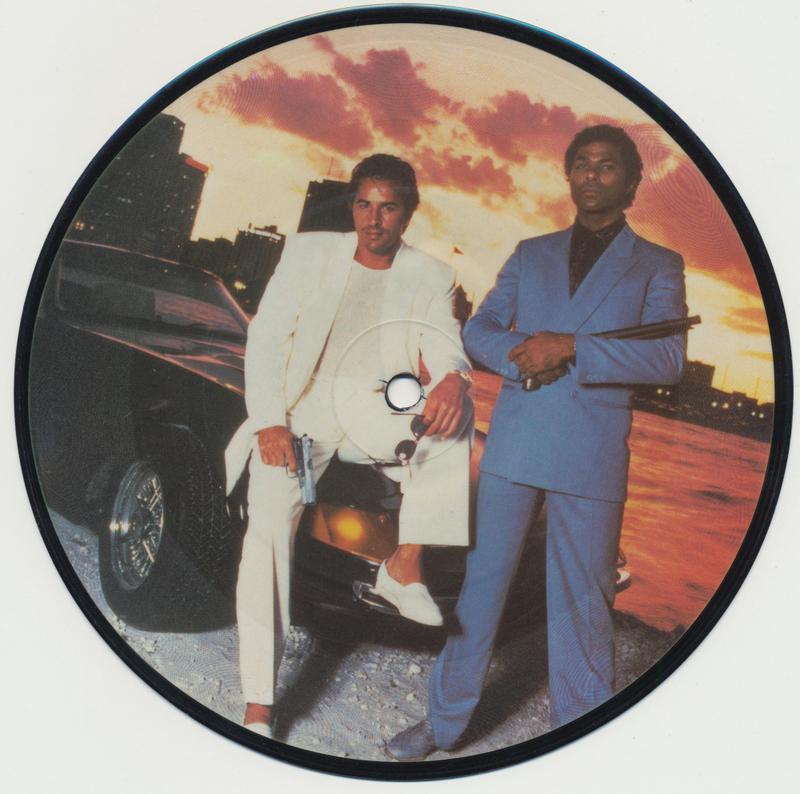 The Miami Vice theme was created and performed by Jan Hammer as the theme to the television series Miami Vice. It was first presented as part of the television broadcast of the show in September 1984 and released as a single in 1985, peaking at the number one spot on the Billboard Hot 100. This picture disc 7" single presents three different edits of the theme, and only omits the 12" version that was released on the 12" single (and which clocks in on 6'54 minutes). This picture disc presents lead role actors Don Johnson and Philip Michael Thomas. The series ran for five seasons between 1984 and 1989.